Mail Merge is like one of those old friends you haven’t called for years. Underestimated and ignored, until the day you need them badly. You just don’t realize its potential until you’ve been delegated the job of managing a few hundred invites at the last minute. Maybe, they are a bunch of wedding invites or a red alert to an impending zombie apocalypse. Or, it could be something innocuous – like printing a bunch of address labels and name badges. Don’t worry. You can send personalized mass emails with Microsoft Outlook 2016 in a few minutes with a few clicks. And save the day. 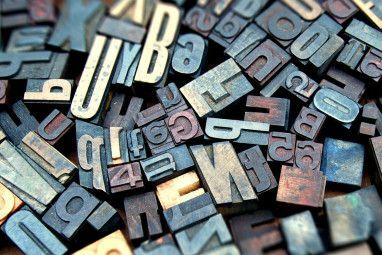 When Should You Use Mail Merge? Before I leap ahead, mail merge is used when you want to create several documents that are basically the same but where each document contains unique details. The emails share the same format and the same text and graphics if any. For example, invitations where the text stays the same but the name, address, or even the subject bits are unique for each. Mail merge — unlike emailing a message to a group of people — makes each recipient of the message the sole recipient. The best use I have found so far for them – use the mass email as a job hunting power tool with custom details for each employer. The main constant document (here: Microsoft Word) where you write the body of the email. The changeable data source (here: Microsoft Outlook Contacts) that is usually the address and the name of the recipient. These two are “merged”. With Outlook being a part of the Microsoft Office suite, one can use this feature to send mails in bulk, each personalized for a different contact. It isn’t spamming, although I guess in the wrong hands, mail merge can be used to carpet bomb with unsolicited emails. Microsoft Office allows you to use different data sources for the address details – for instance, you can use an Excel spreadsheet How to Print Labels with Mail Merge in Microsoft Word and Excel How to Print Labels with Mail Merge in Microsoft Word and Excel Are you still using copy-and-paste to create labels, name badges, or other personalized mass communications? Mail Merge, a simple Microsoft Office automation tool, will let you print your labels in seconds. Read More or even an Access database. Here, you will use your Microsoft Outlook contacts to send forth the emails. So, let’s break down the steps after you launch Microsoft Outlook. 1. Open People to display the list of your contacts. Select the contacts (CTRL + Click) you want to include in the personalized email list. To make it easier to manage a huge list, use the Sort options available (click on the dropdown arrow next to All). To make it more manageable, you can sort by Categories via the same dropdown. Do note: Mail Merge does not work with distribution lists. 2. Select Mail Merge from Ribbon > Home > Actions Group. 3. In the Mail Merge Contacts screen that you should see now, choose Only selected contacts if the personalized email is meant for a select batch of contacts. Under the Merge options section down below, select the following parameters. Message Subject Line: The subject line will not change for all the emails. 4. Click OK and then Microsoft Word will launch for you to compose the personalized message. The Mailings tab on the Ribbon is on view front and center. Here, you will want to start your mass email with a personalized greeting line. From the Mailings tab in Microsoft Word, select Greeting Line. As you can see, the dialog box has been pre-populated the name of Mr. Randall. This is just a placeholder for names from your contacts list. Just below that, you can check a preview of the names from your list. You can customize the entries with the options given here. Do note that the merge fields come from the column headings in your mailing list. So, if there is a mismatch, use Match Fields to ensure that the merge stays accurate. If a field you want says “Not Matched”, select the drop-down list for that field and then choose the column name that matches that column in your list. When you click OK and exit from here, a placeholder for the greeting line (Dear Mr.…) is placed in the Word document. Remember this: You can enter extra information to the document with additional fields. Click on Insert Merge Field. This data must be present in your original data source that is in this case, the Contacts information in Microsoft Outlook. Examples include – home address, home phone, job title etc. You can see the complete list when you click the tiny dropdown arrow. Format the Greeting. To format the greeting line the way you want, highlight the whole field, including the marks at each end. Go to the Home tab and use Font settings. Also, set the Line Spacing to make sure the line spacing matches the spacing in the rest of your document. The beginning of the message is the <<GreetingLine>> placeholder and/or any other field you inserted with the help of extra merge fields. Compose your message. Remember, this is mass emailing at its best. So, make sure to use all the email etiquette you can muster. When the body of the email is done, click on Finish & Merge > Send E-mail Messages. The Merge to E-mail dialog box opens. Click OK.
MS Word then does the job of automatically posting the emails in a flash. Word sends an individual email to each address. You can’t CC or BCC other recipients, and you cannot add attachments to the email. You can save the document you used for the mail merge, as it also saves the link with the data source i.e. the contacts. When you open the mail merge document, choose Yes when Word prompts you to keep the connection. Once you get the hang of it, the whole process takes barely a few minutes from start to finish. In the same time, it takes to compose an email for just a single person, now you can do so for a group. It doesn’t matter how large the group is. Also, it is a good group email behavior to use a recipient’s name as a greeting. It lends a more personal touch to the email. Something, a CC-ed email sorely lacks. Next, you can try mail merge to print letters, labels, and envelopes. You might also want to learn about easy methods to merge Microsoft Outlook PST files How to Merge Microsoft Outlook PST Files: 5 Easy Methods How to Merge Microsoft Outlook PST Files: 5 Easy Methods An Outlook PST file contains all the data for your inbox. If you have multiple Outlook PST files, how can you merge them all? Read More . Hungry for more Outlook tips? Then it’s time to explore little-known features of Outlook 10 Hidden Features of Microsoft Outlook That Are Rarely Used 10 Hidden Features of Microsoft Outlook That Are Rarely Used Microsoft Outlook has a ton of features. 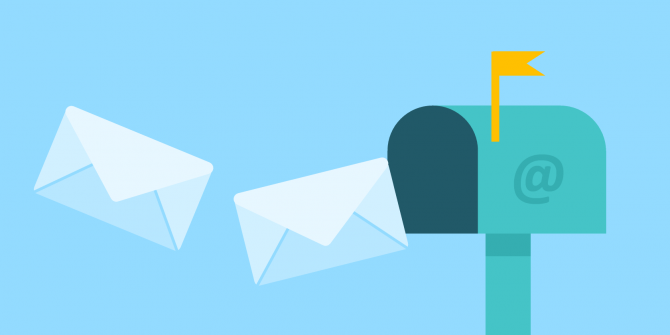 Use these lesser known Outlook features and improve your email workflow Read More ! Explore more about: Contact Management, Desktop Email Client, Email Tips, Mail Merge, Microsoft Office 2016, Microsoft Outlook. I wanted to know if there is a limit to the no. of recipients on Mail merge with Outlook, for e.g if i need to send it out to about 600 emails, is that okay? Is there a limit to how many emails you can send to at one time? Very helpful article. You just saved me from several hours of copy-pasting! I had to send out marketing e-mails to 7,800+ recipients and this made the whole process a whole lot simpler. Thank you very much! Can i send an e-mail from non-outlook mail account via MS Outlook 2016? For example, a company mail, or gmail etc. If answer is yes, how? Great post Saikat - very helpful with easy to follow instructions! Thanks AJ. Glad it helped. Can you please tell how to add attachments in mail merge? You can simply signup on saleshandy and start sending personalized mass emails from your own company email address. No we can't send attachments with it, Abhik. You have to rely on thrid-party tools for that. What kind of third party tools do I need? I want to send individual PDF attachment's to the respective owners and the email addresses are located in an excel spreadsheet. Is there such a tool for that? Hello there, I wanted to send those contacts those who are in my excel sheet lists except my outlook email contact list. Does outlook mail merge allow me to do so or is there any option to extract the contact lists from excel sheets. Thanks for this great article. I'm having a slight problem however. I've created a great newsletter style template within Outlook (via Mailstyler) and this method doen't allow me to create my mass email through the Outlook template. (.oft). I hope that makes sense and any help / advice would be much appreciated. Glad it helped Dan. Thanks for your nice comment. I want to keep few people in carbon copy(CC) and Blind Carbon copy(BCC). So is it possible with automails or not. My guess is that it will be too complicated to set it up with something like VBA programming. As the attachments are all different, it is something I am also not familiar with. I have also been searching for a way to send different pdfs as attachments to individual recipients... and I have just discovered Mail Merge Toolkit. Does anyone have any experience with this add-on? Is there a way to do the above email merge with adding attachments i.e. pdf file? You have the option to insert a file attachment, but the outgoing email will include just the file shortcut, not the file itself. An easier way could be to use Outlook Mail Merge Attachment. It's a free tool. Please note that I haven't tried this out myself. Or you can use Saleshandy. Using SalesHandy you can send & track attachments in mail merge campaign. Is there any kind of limitation for sending mails with the help of the mail merge process through MICROSOFT OUTLOOK .. I am currently looking out for a new job, what I do everyday in the morning is check out the newspapers, and collect the email address, and send out individual mails (the body is the same only the subject line and the address vary). Now my question is, Can i feed all the mail address to one execl sheet(or some other application) and then use gmail/hotmail/yahoo to send out personalized mails to each of the company. Thanks Saikat, this really helps! Outlook is still a cool email management/campaign software for sure, b/c of the ability to access all your email accounts at the same time. I find it very helpful. No, Jamie...I don't think you can do both. I used this wizard in outlook to send personal invitations to a work event to company leaders. I would like to be able to also cc their administrative assistance. Is there a feature in the wizard that allows you to send a personalized email while also using a cc field? This is an excellent tool/work around...., but is there a way to add an attachment??? Normally. no. But with a macro, yes. I have given the link below in an answer to munkypint'scomment. Frankly speaking I do not have good knowledge of macros and totally blank on the Visual Basics (VBA). Guess, will have to use the personalize mail as a plain email only. To answer both your questions (or to confess inability), I couldn't find a solution to your query using the mail merge approach. Possibly, macros can do the job but that involves programming. Their is an addin called Mail Merge Toolkit which can handle the common CC part. But it's not free so I couldn't test it. Truly useful article, thanks! for the knowledge. Can I also know information regarding how to add importance, request for read receipt and delivery receipt for this personalised mass email? Hi, I recently got a job as a summer intern at a purchasing group and found this very useful for sending out emails to multiple vendors without showing the email of every vendor I send it to in the "To" field. Problem is, I have ~4500 vendors I need to send emails to and this method seems to require the recipients to be in your contacts. I've had to look up emails for many of these companies and the rest were in a database and I don't want to have to add all the companies as contacts. So my question is, is there another method of mass email where you don't need the recipients in your contacts while still only showing the email of the person who recieves it in the "To" field? Do a web search for "import contacts to Outlook from Excel". I have the same problem and found some instructions on how to do it. I think you can easily set it up so that they end up on a different contact list than your standard contact list (coworkers, friends, etc.). I quite like doing it directly from world using and excel file and mail merging. This can be done with both outlook and Thinderbird. These need to be installed to be able to do it with Gmail. It would be awesome if google docs could be used with gmail to do the merge. Also does anyone know how to make attachements to the mass mail merge? Normally no. But this article helps - It's a bit complicated. You have to set up a macro. is there a way to do the same in Thunderbird? I am reading the post "How to Set Up Mozilla Thunderbird to Send Mass Emails"
Yes, that's the one as Aibek says. In fact, a post on that should be out in a couple of days time. Watch out for it. Nopes...its still a very very popular application. Gmail and Outlook have different approaches to email management.Gmail is increasingly getting better but Microsoft is very much there too. A lot of people I know, use MS Outlook for business communication and Gmail for personal ones. It's good for us isn't it...with all the offline and online choices for email.